We received a heads up from Twitter follower @pinkpearlapple that JCPenny’s website has some unexpected DuckTales DuckMerch listed on their site. You can order the items or check out their availability in your area by following this link; DuckMerch at JCPenny.com. The line as a whole are interesting. So far we’ve seen most of the DuckMerch from DuckTales 2017 has been marketed to boys. This is very disappointing to me because my girls really want DuckTales backpacks and clothing, but they don’t want merchandise “for boys.” Paisley was excited to see the backpack, but her first question was “Where’s Webby?” The line at JCPenny appears to have a Junior Woodchuck theme. All of the products have a Junior Woodchuck rule. Teal and orange appear to be the predominant colors, and there are a lot of strips. This kid’s size backpack is 12″ with one main pocket and a compartment. I like the use of the Junior Woodchuck theme on this backpack. I am curious as to how the backpack will sell. It retails for $30 on the website. The backpack does not appear to have the DuckTales logo predominantly displayed, but it does include a rule from the Junior Woodchuck Guidebook. It reads; Junior Woodchuck Rule 72: Always be fair to your fellow Woodchucks. Unlike past versions of the triplets, Huey is the only brother that appears to care about the Junior Woodchucks in DuckTales 2017… and the theme almost makes the line feel like it’s a Huey product line. One of my favorite items from what I am going to dub The Team Huey Collection! is the “No Sleep Till Duckburg” pajamas. This two piece, flame resistant, polyester set continues the orange and teal color combination and places Huey predominantly in the foreground. I love the catchy line in the shirt and the nephews facial expressions. The set is $18. Junior Woodchuck Rule 162 is my favorite t-shirt design available for store purchase to date. “A Woodchuck Looks Out For Fellow Scouts” and “Team Huey: We Need A Plan” along with the Junior Woodchucks of the World emblem, the guidebook and the triplets adorn the front of this tee. I really like the character poses selected on this shirt and think they represent the characters well. The shirt retails for $15 and comes in a number of boys’ sizes. All in all, a great looking line of DuckTales merch at JCPenny.com. Unfortunately what it is missing is it’s greatest disappointment. I am becoming worried that Webby will be absent from much of the show’s merchandise, and that means my girls may decide it’s a boys show. I don’t think that will impact how much we enjoy it at home… but it does mean they will talk about it less with their friends. This show is great, and it does not alienate female viewers. My wife and girls enjoy watching the show almost as much as I do… but I’m afraid Disney is going to label DuckTales 2017 a boys’ show. 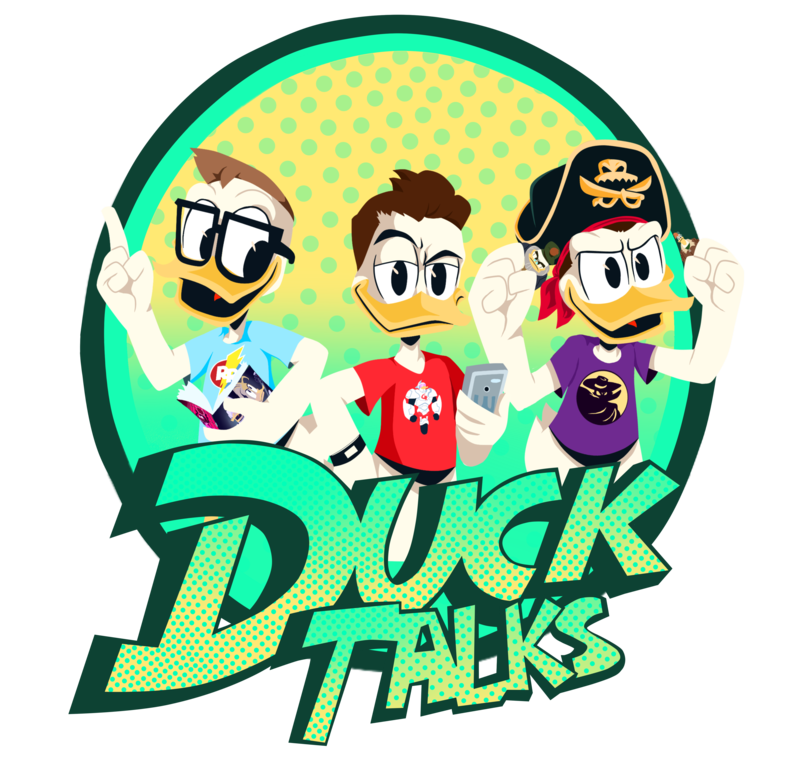 Previous DuckTalks Episode #029 – Stay Glomgolden! Next DuckFans Can Now Order The DuckTales Figurines From ShopDisney.com!